I take one a day and I feel more energy. 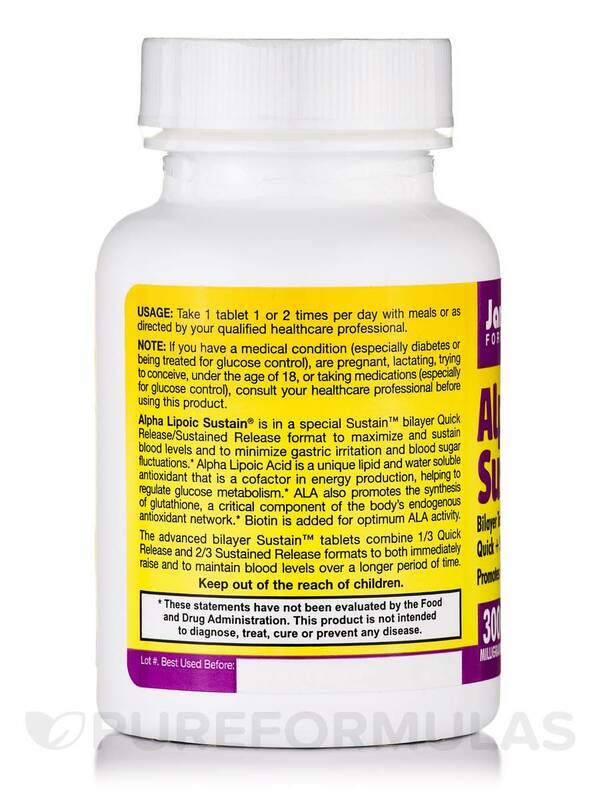 Alpha Lipoic Sustain® 300 with Biotin 30 Tablets from Jarrow Formulas® may confer protective benefits of antioxidants and may also promote liver and nerve health. 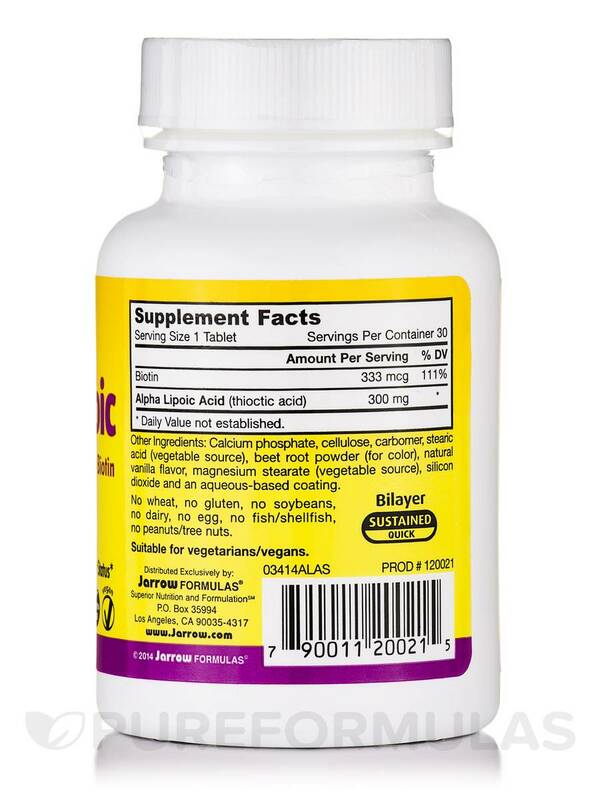 These tablets from Jarrow Formulas® are presented in bilayer release format that may enhance blood levels and reduce gastric irritations. Many people call Alpha Lipoic acid as the universal antioxidant because it can boost the levels of glutathione. It is soluble in both fat and water‚ which makes it adaptable to quench free radicals in both lipid and aqueous environments. There are researches‚ which state that Alpha Lipoic acid could rid the body of toxins as is believed to contain metal chelating properties. There are certain studies that say that Alpha Lipoic acid could play a vital role in energy production within the mitochondria of the cell. There are some people who use Alpha Lipoic acid to prevent memory loss and chronic fatigue syndrome (CFS). It may also potentially benefit conditions of the heart and blood vessels. Some experts consider Alpha Lipoic acid to benefit eye-related disorders. Alpha Lipoic acid could help with regenerating other essential antioxidants such as vitamin C and E‚ coenzyme Q10‚ and glutathione. 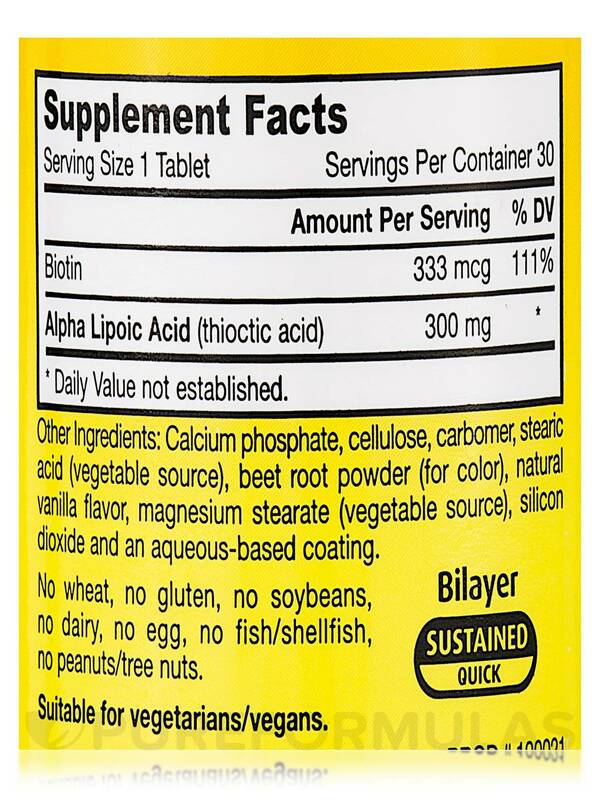 Biotin is added to this Jarrow Formulas® supplement for optimal Alpha Lipoic acid activity. 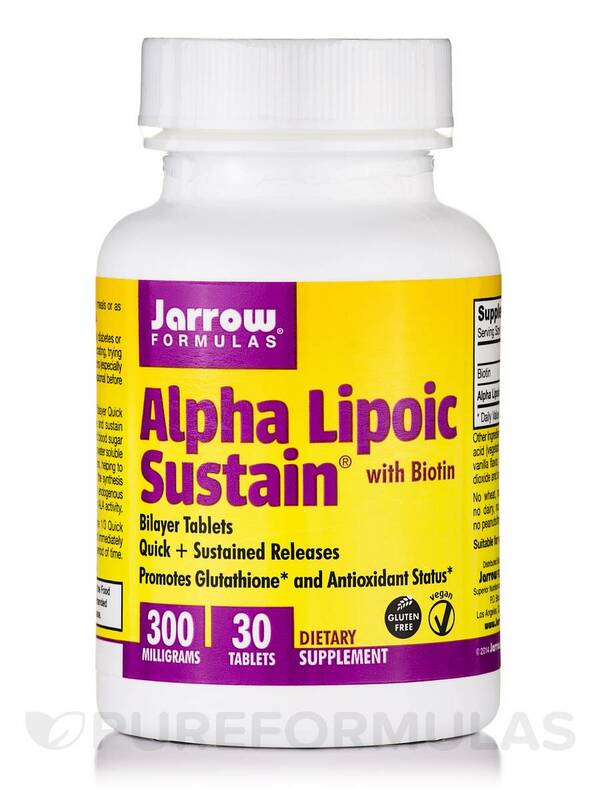 Your dose of Alpha Lipoic Sustain® 300 with Biotin 30 Tablets from Jarrow Formulas® is free of dairy‚ soy‚ egg‚ gluten‚ wheat‚ fish/shellfish‚ peanut/ treenuts. Calcium phosphate‚ cellulose‚ polyacrylate polymer‚ magnesium stearate (vegetable source)‚ stearic acid (vegetable source)‚ beet root powder (for color)‚ vanilla‚ silicon dioxide and an aqueous-based coating. Take 1 SUSTAIN™ tablet 1 or 2 times per day with meals or as directed by your qualified health care consultant. 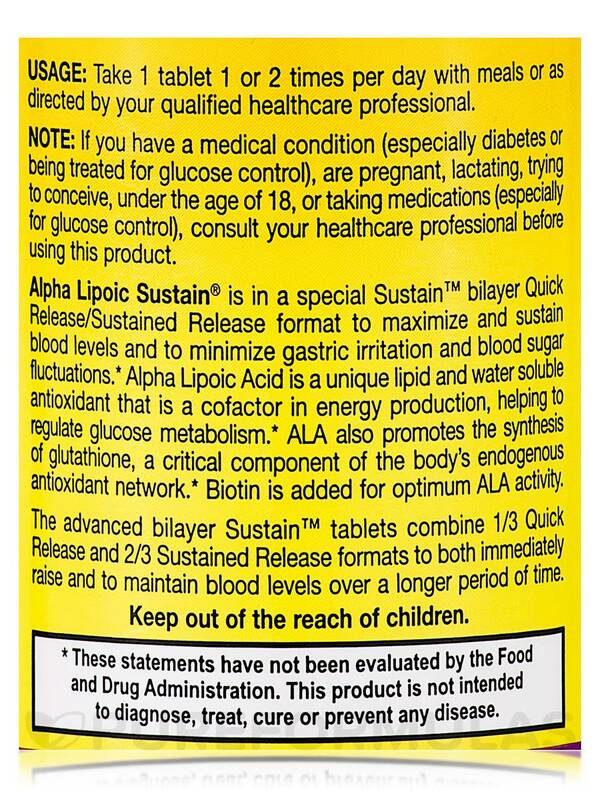 If you have a medical condition (especially diabetes or being treated for glucose control)‚ are pregnant‚ lactating‚ trying to conceive‚ under the age of 18‚ or taking medications (especially for glucose control)‚ consult your health care practitioner before using this product.